Shop Local! Support your local business to keep our economy thriving by increasing jobs, sustaining communities, funding more city services through sales tax, and promoting community development. Follow our link to Aveda’s website to credit Vogue Salon & Spa as a way to help promote our team. We truly appreciate your business and if you have any questions on which products best suite your needs, we are available by email, phone, or drop in to help you make the best decision. Thank you again! Beauty is as Beauty does. Aveda’s mission is to care for the world we live in, from the products they make to the ways in which they can give back to society. Creating products from naturally derived ingredients, Aveda is consistently striving to preserve nature’s best, while creating beauty products that are not only good for you, but good for the earth. 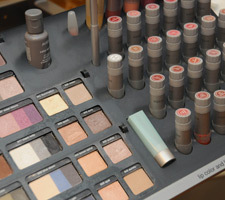 In addition, Aveda is fueled by 100% wind energy and uses 100% post consumer recycled packaging. Aveda Skin Care combines the power of plants with ancient wisdom and modern science. 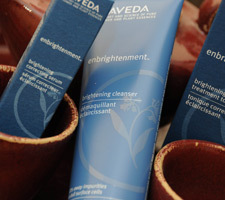 Elemental Nature – based on Ayurveda, a 5,000 year-old Indian healing tradition – helps restore balance and skin’s beauty. Whether you are looking to control shine, lift and reduce lines, relieve acne, increase radiance or correct uneven skin tone and dark spots, we have your Pure-scription for balanced skin. 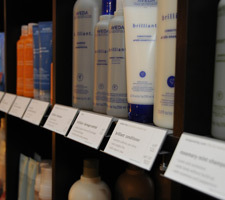 Aveda also carries Men’s Pure-formance, skin and hair care specific for men’s skin and hair needs. Aveda started with one shampoo and a mission to create naturally- derived products that care for your hair and the world we live in. Today Aveda’s ingredients are over 95% naturally derived, and harvested worldwide. Their hair care systems deliver salon-proven results and feature unique flower and plant Pure-Fume aromas that change your mood while you cleanse and condition your hair. Aveda also has created men specific hair care products formulated just for men. Looking for a healthy alternative to hair color? Aveda has that too, naturally derived hair color that not only colors grey, but can give you whatever look you are going for, bold accents, natural highlights, or even a glaze of shine. Aveda body care restores both body and senses with therapeutic essences and pure flower and plant aromas. Plant-based care to help any body feel rejuvenated such as Rosemary Mint or moisture rich Caribbean Therapy. Whether you are looking for an in salon spa experience or one you can take home, we have all the products you need to relax and unwind. Love that Aveda scent?? We now offer Aveda’s Pure-fume which is customized to your body and mood and created in salon just for you. Let us take you on a Sensory Journey…find your perfect aroma to take home with all your favorite Aveda goodies, including Aveda’s naturally derived mineral makeup!